The workshop is appropriate for training and practising counsellors, psychotherapists, counselling psychologists and other mental health professionals. 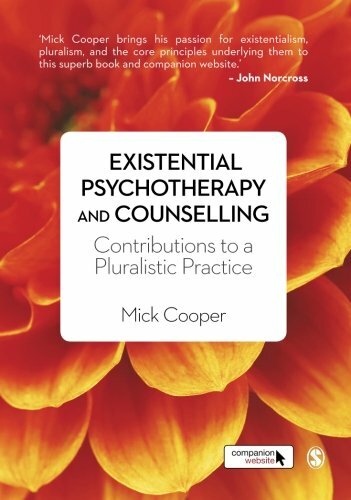 Existential therapy is a diverse, vibrant, and wonderfully rich tapestry of understandings and methods that has the potential to make a valuable contribution to the work of any counsellor, psychotherapist or psychologist. It is one of the oldest forms of therapy, yet still one of the most innovative and radical. Existential therapy is orientated around the development of a deep relational bond with the client, which allows the client to explore the most fundamental aspects of their existence. This includes questions like: ‘What is the meaning of my life?’ ‘What choices can I make?’ and ‘How do I face the limits of my circumstances?’ This workshop introduces participants to the basic principles of existential philosophy and therapy, and looks at how practitioners of all orientations can integrate these ideas and practices into their own work. This workshop is typically delivered as a one day event. However, a more extended version of this course can be delivered over two to five days. The workshop combines self-development exercises, theoretical input, practical exercises, and small and large group discussion. The workshop is appropriate for training and practising counsellors, psychotherapists, counselling psychologists and other mental health professionals. Correia, E., Cooper, M., & Berdondini, L. (2016). Existential therapy institutions worldwide: An update of data and the extensive list. Existential Analysis, 27(1), 155-200. Correia, E., Cooper, M., & Berdondini, L. (2016). Worldwide list of existential psychotherapy institutions. Dasein, 5(Special issue), 83-131. Craig, M., Vos, J., Cooper, M., & Correia, E. (2016). Existential psychotherapies. In D. Cain, K. Keenan & S. Rubin (Eds. ), Humanistic psychotherapies (pp. 283-317). Washington: APA. Vos, J., Cooper, M., Correia, E., & Craig, M. (2015). 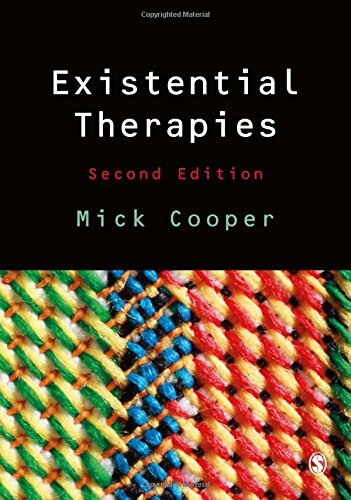 Existential therapies: A review of their scientific foundations and efficacy. Existential Analysis, 16(1), 49-69. Vos, J., Cooper, M., Correia, E., & Craig, M. (2015). Existential therapies: A discussion and review of research methodologies and the evidence base to date. International Journal of Psychotherapy, 19(1), 47-57. Willig, C., Berguno, G., Cooper, M., Milton, M., du Plock, S., & Spinelli, E. (2015). The challenge to theory in existential psychotherapy. Existential Analysis, 26(2), 225-236. Correia, E., Cooper, M., & Berdondini, L. (2014). Existential Psychotherapy: An international Survey of the Key Authors and Texts Influencing Practice. Journal of Contemporary Psychotherapy. doi: 10.1007/s10879-014-9275. Correia, E., Correia, K., Cooper, M., & Berdondini, L. (2014). Psicoterapia existencial latinoamericana en la actualidad. Revista Latinoamericana de Psicología Existencial, 9, 26-37. The following video, presenting an introduction to existential psychotherapy at The Weekend University in 2018, gives an account of the underlying philosophical principles of existentialism, and three key implications for practice: working with freedom, limitations, and meaning. The video is just under 90 minutes long, but should provide a valuable introduction to thought and practice in the field. 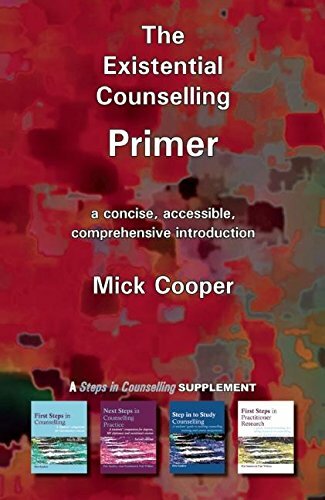 Mick Cooper in conversation with Pete Sanders about existentially-informed person-centred therapy (2012).